Click here for Future Rough Riders Spiritwear Sale! R.F. Pettigrew Spirit Wear is available in several designs and sizes. Youth t-shirts are available year round and other apparel/gear will be available for purchase at school events and during special sales. Future Rough Riders spiritwear available 11/9/2018 through 11/23/2018! 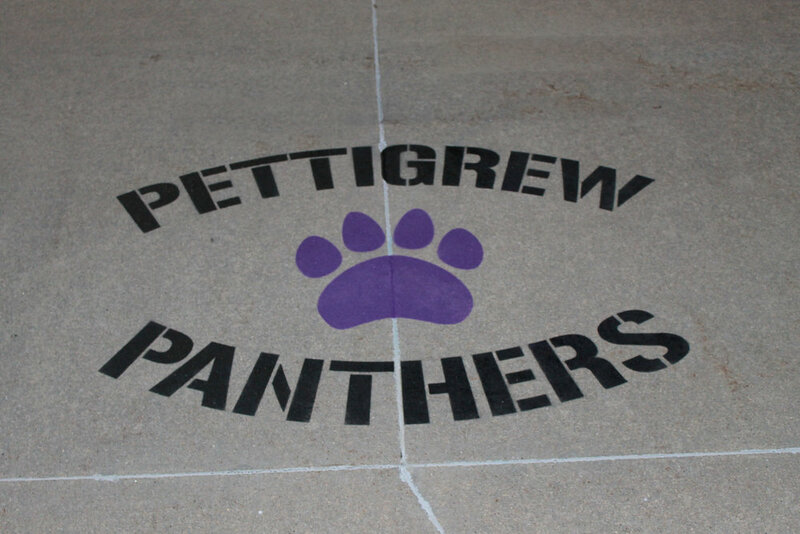 Image of Pettigrew Panthers stencil painted in front of the school.